Home Business Success Starts With Your Passion – If You Are Not Passionate About What You Do Then How Can You Help Others Start A Home Business? In whatever career you may find yourself in, there is no such thing as “information overload.” – with a home business it is no different. It comes down to working out your own information management systems and being effective at time management working from home. How often do you hear… “There’s a lot to do…” – “There’s too much information”..
Well quite frankly… what did you expect? When you started your 9 to 5 job, or in fact anything in life, did you not find that there was a lot to learn and a lot of information to manage and understand? If you didn’t commit to the learning curve then you would not succeed at work and you would most likely be out of a job by not managing the information you are provided with. In a 9 to 5 job you have to learn what to do… so what is different with running your own home business? Nothing really… it’s just another learning curve. The words, “I haven’t got the time, or there is too much information”, often comes from someone who can’t be bothered to commit to the home business and make it work for them or their family. It’s easier to walk away and when you do this you will commit to stay in the same position as you always have been. What time do you have? – What home business information do you need to manage. Work it out, timetable it and move on and do whatever it takes to experience home business success because the alternatives are no so appealing. The Passion In Your Work – Doing What Others Do! Know as much as you can, do what others do, and what the entire company does. Equip yourself with a total knowledge of your work environment, enough to make you feel like you own the network. Who knows, you may someday. Walking an extra mile, being organized at work, honesty, trust-worthiness, dependability, being a team player, loyalty, and resourcefulness are the must-be characteristics of your passion. Are you the type of worker who is always looking forward to Monday morning? Or you are the type of worker who’s pleading and hoping that it will always be Friday the other day? There are workers who are called TGIF workers? What is TGIF? TGIF stands for Thank God It’s Friday. TGIF workers can’t wait for their minimum of 8 hours a day to finish. If you classify yourself as a TGIF worker, then you are certainly lacking something or missing something important in your career life – passion. What does it take to be passionate in your job? There is always that old maxim “Do what you love the most.” A passionate worker always has the appetite to go to work every day. He or she doesn’t mind if it’s Monday or Friday. He or she treats everyday as an important day in his or her career life. What do you think is the result of being passionate in your career life? When you are passionate in your job, you enjoy it and even look for more. There is always the idea in your mind that you can always do better than that. You are not satisfied with mediocre work. And it pays to be a passionate worker, not because you will be accelerated into a higher position nor that you will be given extra compensation, but because you can get things done in your work with a sense of appreciation. In your work as an entrepreneur at home, you have got to have extra passion. Why do you need it? You might be asking. Take this for an instance; are you able to sit a little longer whenever a meeting comes along? Can you stay a little longer if you’re transacting some business matters to a customer that asks too many questions? In short, can you be patient enough but maintaining the passion in you? You can be energetic enough in your home business work but it demands greater than that. Still, you need passion in your home business work. So, what separates a passionate worker to a worker that only minds work? People who practice passion in their work always perform their work at their best. They always strive for perfection in everything. They see perfection as unattainable in most things. But their eagerness drives them much nearer to it than those whose laziness and despondency make them give it up as an imperfection. Passionate workers put extra care in their work and they aren’t satisfied for anything less. 1. Do I need passion even though my work is just a home business? 2. To whom will I use passion? 3. What will passion do for me? What is its impact in my performance? 4. How may I know my passion? The last question on the list is very interesting. In one way or the other, passion creates a difference in terms of performance between a passionate worker and the other. What do you like the most? What are your interests? What type of job do you enjoy the most? The answers to these questions vary depending on the personality of a worker. But whatever will it be, if you can answer the questions then that will be your checklist on how you may know your passion. Each worker has different passion. One’s passion is not the same with the other. Your job as a home business representative takes a little energy talking to different people. If you find that your passion is more on communication, then this will help you with a home business. If you like to deal with different people and enjoy front liner’s job, you are really fitted for the home business. 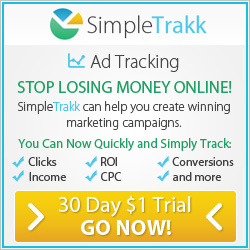 By clicking the home business banner below you will find the answer to this question. 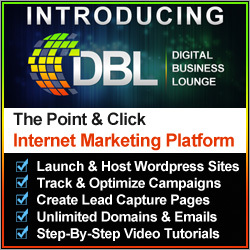 You will learn how you can start a home business and start living the internet lifestyle. 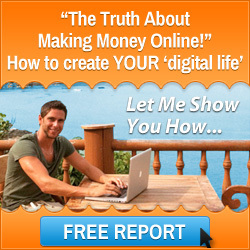 Get a complimentary home business profit report today. 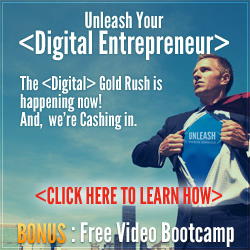 If you are passionate about starting a home business.. Looking For A Home Business Opportunity That Really Works If You Commit To It, You Will Roll Your Sleeves Up And Get Stuck In…. This entry was posted in Home Based Business, Start Home Business, Work From Home Business and tagged home business, home business passion. Bookmark the permalink.